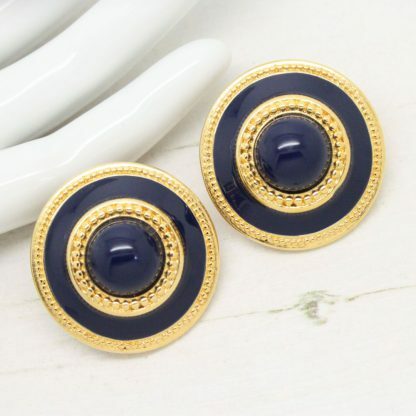 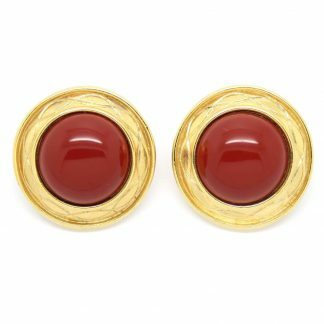 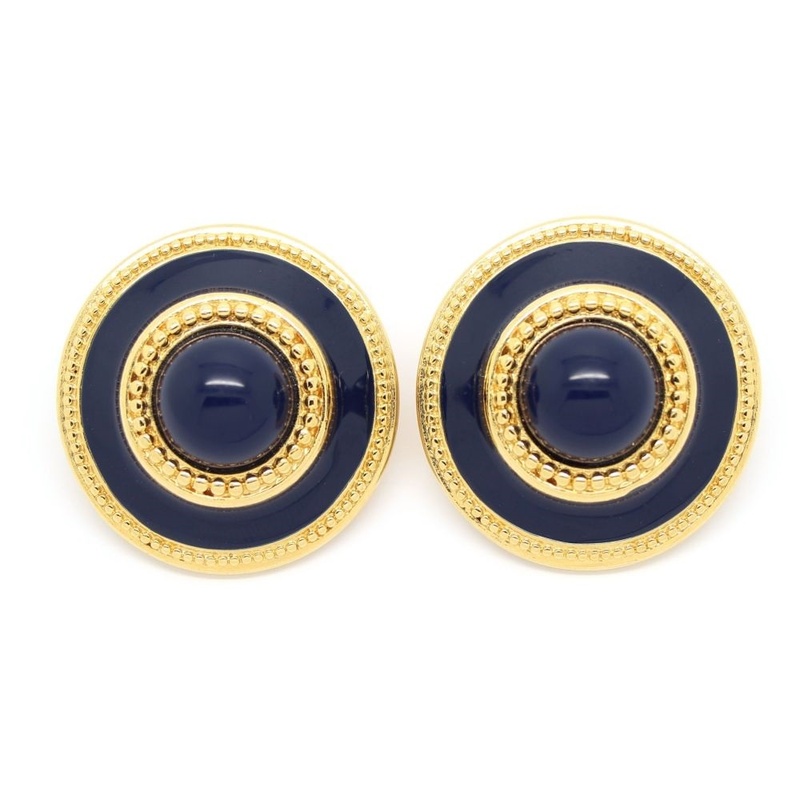 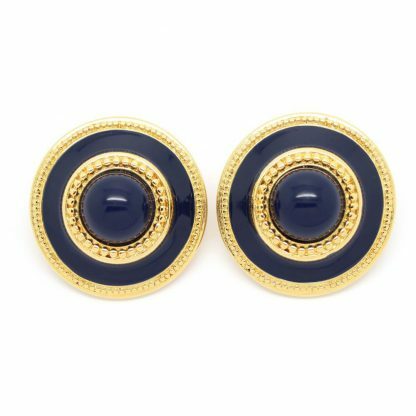 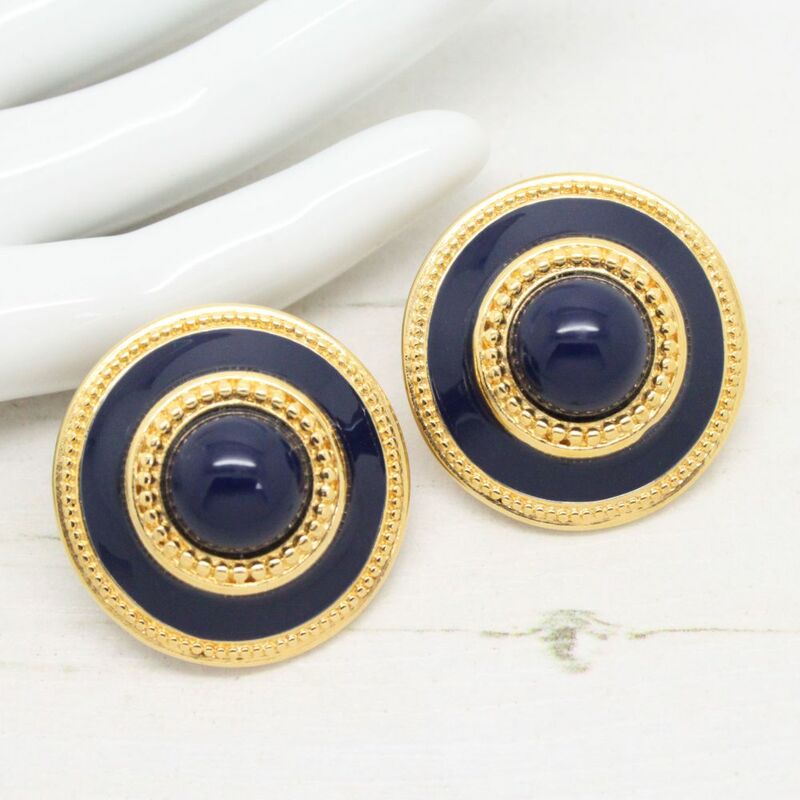 Gold plated clip-on earrings from Monet feature navy blue enamel and blue cabochon centres. 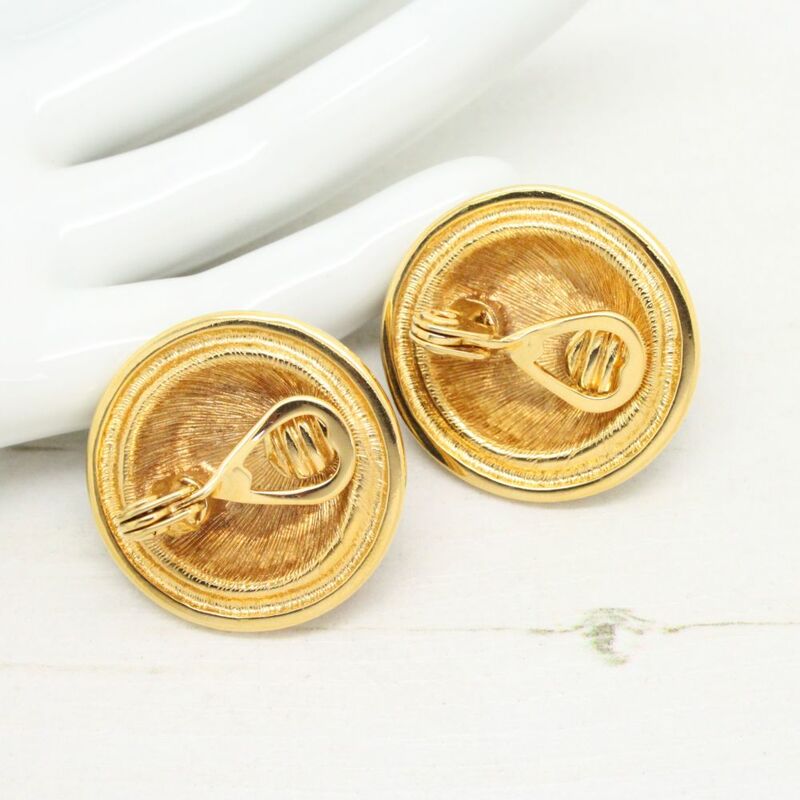 Measuring approximately 2.9cm at widest point. 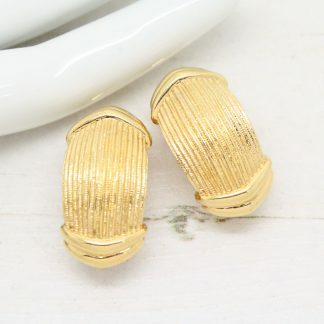 Condition: Vintage – In good condition showing slight to no wear. 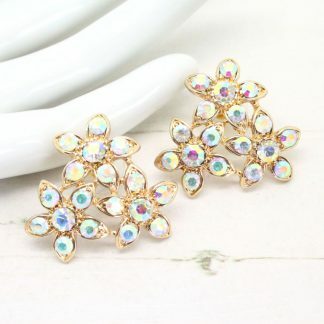 They remain bright and shiny.